Greetings, LoC extended family. Couple of new dates to inform you about. Meet Noz, Tess, Beth, new singer Ella and the gang as they knock their way through some of the sweetest soul you’ve ever heard. 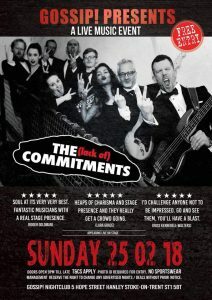 Not only do we play a tribute to the music from the film ‘The Commitments’, including Try a Little Tenderness, Take Me to the River, Hard to Handle and of course the inimitable Mustang Sally, we also bring you other soul faves from the best musical genre to exist, Higher and Higher, Soul Man, Dancing in the Street and Reachout. 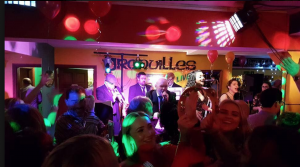 Eleven piece band with a wall of soul sound to warm your cockles. I Never Loved a Man, Do Right Woman Do Right Man and the Dark End of the Street. Expect fun and antics. The Saboteurs of Soul are about to blow your socks off.